Peter Gerald Spillett was born in Surbiton near London in 1926 and emigrated to Australia in 1950. Peter studied at the London Polytechnic and University of London’s School of Oriental and African Studies. During the Second World War he served in the RAF as a radio operator, in India and Burma. 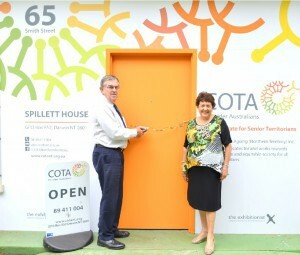 He was employed as the Heritage Officer in the Northern Territory Department of Community Development. 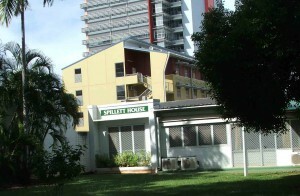 He was an Alderman of Darwin City Council, Secretary of the R.S.L., President of the Pensioners Association, whose headquarters are named Spillett House. He was Chairman of the Trustees of Brown’s Mart. 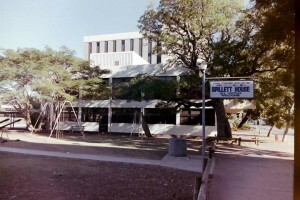 The Museum and Art Gallery of the Northern Territory, where he was Honorary Fellow in History, named the Peter Spillett Library in his honour. Peter was a founding member of the Historical Society of the Northern Territory, and Honorary Life member. He was President and Honorary Life Member of the National Trust of Australia (Northern Territory). He led an expedition to Fort Wellington where the party located and plotted the remains of the settlement. He was on the editorial panel of the Northern Dictionary of Biography. Peter was also a member of the Order of Australia and Fellow of the Federations of Australian Historical Societies and Fellow of the Royal Geographical Society. His collection of papers reflect his wide range of interests in the history of the Territory. He died in September 2004 at the age of 78. The above notes summarise his Obituary written by David Carment and published in the Journal of Northern Territory History no.16, 2005: 127-128.